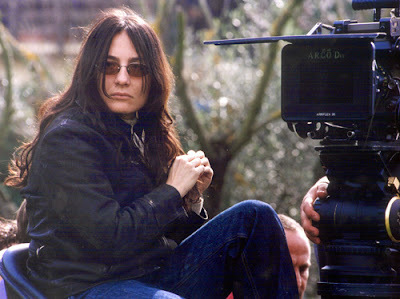 On Day 2 of our week-long series, 7 Days - 7 Women, in which we are profiling seven strong, talented women working as filmmakers, writers or visual artists, we take a look at the career of film director, Maria Sole Tognazzi. Born in 1971, Tognazzi is no stranger to the entertainment industry. Her father is the legendary comedy actor, Ugo Tognazzi, who was one of the most prominent players in the Commedia all'Italiana genre of Italian cinema. Maria Sole Tognazzi is the youngest of four children and took a slightly different path than her siblings. Unlike her brothers, Gianmarco and Ricky, who are both successful actors in Italy, Maria prefers to stay behind the camera. She started her career by working as an assistant director, and made a series of video clips that poised her for the debut of her first short film in the late 90's, Non finisce qui. Her follow up to that film, C'ero anch'io set the foundation for her first feature-length film, the ensemble comedy, Passato prossimo. The cast boasts some pretty big names including her brother, Gianmarco along with now-A-listers, Paola Cortellesi, Valentina Cervi, Pierfrancesco Favino and Claudio Santamaria. In 2008, she worked with Pierfrancesco Favino once again on the romance-drama, L'uomo che ama (The Man Who Loves). The unique plot in this movie is how it shows love and loss from the point of view of a man. The man was being left and dealing with heartbreak, when so often we see the woman in this role. The film opened the 2008 Rome Film Festival and also opened to rave reviews in New York City at Lincoln Center's annual Italian film series, Open Roads: New Italian Cinema. In 2010, her documentary Ritratto di mio padre (Portrait of My Father) premiered at the Rome Film Festival. Among many unique elements, the documentary features home videos showing an adoring family and their beloved patriarch, with accounts by her siblings and close friends of the family. Appropriately titled, Tognazzi, really does present a beautiful, loving portrait of her father. Click here to watch the trailer for "Ritratto di mio padre"
Her third feature film, Viaggio sola stars leading lady, Margherita Buy as Irene, a hotel professional and single 40-something who makes her living inspecting luxury hotels. Irene is surrounded by luxury, and comes and goes as she pleases, but all of her experiences are had alone. It is a story of courage and independence, presenting the positive and negative side of living an independent life, not giving in to the stereotypical expectations of society.